The off-season has seen a flurry of NBAers, current and former, on various sorts of promotional tours throughout Asia. Steph Curry hit up Japan, the Philippines, and China. LeBron James visited Manila, as did Ricky Rubio and Paul George. Allen Iverson (kind of) toured China. And Shaq headed to South Korea. The show traces, documentary style, a handful of celebrities who are put back into actual high schools, uniforms and all. We witness the celebrities take classes, sleep through classes, and occasionally skip classes, just like the rest of the students. It’s an interesting way to peek into the current lives of ordinary teenagers these days. When Shaq rolls into school, it’s clear that most of the Korean teenagers don’t recognize who he is. After all, if they are fifteen years old, it means they were born in 2000. Nonetheless, they are both intimidated and fascinated, crowding around him in wonder. Shaq does his usual Shaq things, ducking under doorways, awkwardly folding himself into a student chair and desk, and never moving an inch under the net during a game played in gym class. One of the teacher keeps calling him “Shackie,” but he doesn’t seem to mind. There’s an awkward moment in English class where he mishears the lyrics to Steel Heart’s “She’s Gone,” an ‘80s power ballad popular in Korea to this day (blame Karaoke). These promotional gigs, occurring at the levels of NBA outreach, apparel merchandising, and personal celebrity tours, can all be see as a larger trend in the global marketing of NBA basketball. Watching Shaq trying (and adorably failing) to blend in with a school-full of Korean teenagers gives me ample time to generate a few observations on the NBA’s aggressive marketing in Asia. The first relates to the failure of the global spread of NFL. Despite its ongoing attempts to carve itself out in a European market, really, no one apart from Americans watch or play NFL. In contrast, the NBA is already internationally diverse, with 101 players representing 37 foreign countries and territories last year. To appeal back to these countries, and to tap into the new potential fan base of Asia, seem like sound economic logic. In the case of baseball, though MLB is gaining traction in Asia, so many countries already have their own prolific leagues. For example in Korea, there is a sports channel devoted to exclusively broadcasting MLB games that feature Korean players, making it hard to actually follow the entire league. Instead, fans follow KBO (Korean Baseball Organization) and only individual MLB players who came up from the KBO. Second, the NBA understands that pro sports is as much about branding and style as it is the sport itself. Korea and Japan in particular are fashion markets that heavily influence trends throughout the rest of Asia. Thus, different parts of the continent can be targeted for its fashion, fan base, TV rights, or potential players. Shaq visited several Reebok stores while he was in Korea, including a new Reebok FitHub in the ultra-trendy Ap-gu-jung district. Third, the NBA has a vastly more marketable image, in contrast to the other three pro leagues. The NFL and the NHL have been unable to deal with the constant criminal charges of its players, for domestic violence, assault, and even murder. The MLB stays generally irrelevant, clocking in an average fan age of 54.4 years old. The NBA seems to be taking advantage of the situation, promoting an image of its sport as something more aggressive and masculine than baseball, yet less violent and physically brutal than football or hockey. This carefully crafted package of athletic masculinity seems to be playing an important role in its global spread. To be clear, I am not at all suggesting that NBAers are somehow less inclined to criminal behavior. We all remember Sprewell trying to choke out his coach, or Artest attacking that fan, or Kobe. The NBA rap sheet would probably be just as long as any of the other pro sports leagues. Rather, the point is that the image of basketball as a sport lacks the links to violence and aggressiveness that characterizes hockey and football. Basketball is as much a game of speed, finesse, and accuracy as it is about strength and bulk. Shaq, in his 7’1”, size-22-shoe glory with his goofy jokes and calm demeanor, may be just the right mix of exceptional yet approachable to promote a more globally appealing image of athletic masculinity. In contrast, the NFL seems hell-bent on deliberately cultivating a narrow and distinctly-U.S. model of hyper-masculinity that is largely unappealing outside of the U.S. and that is quickly losing appeal even within it. Goodell could take a note or two on the marketability of gender constructions from the NBA. In the meanwhile, here’s a clip of Shaq lip-synching and then (unfortunately) actually singing that power ballad. 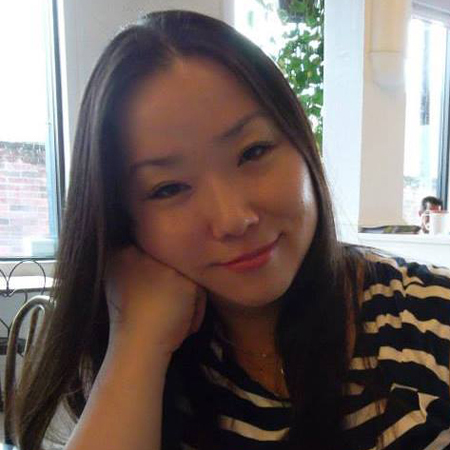 Serenity Joo is an educator, thinker, spectator sport fanatic, and nacho enthusiast. She grew up in the Deep South, which explains everything. Her body currently resides in Winnipeg, Canada. Serenity is a 2015 Dat Winning fellow. I'm an educator, thinker, spectator sport fanantic, and nacho enthusiast. I grew up in the Deep South, which explains everything. My body currently resides in Winnipeg, Canada.